For business owners, their workplace is crucial as the invaluable documents, confidential information, and assets are housed in the premises. 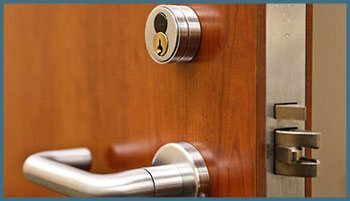 Safe Key Shop provides efficient and reliable commercial locksmith services to entrepreneurs in Alexandria, VA. We have experts capable of offering varied commercial locksmith solutions for issues such as commercial lockouts, broken key extraction, lock repair, locks change, and several others. Traditional types of locks were sufficient earlier. With advancement in techniques and tools, intruders manage to pry open standard locks through picking, key duplication, or bumping. In the modern business premises, high-security lock installation on all doors proves inevitable for protecting the valuables. If you are looking for help to install high-security locks, you can contact Safe Key Shop on 703-586-9674. Our expert team of professionals will offer the necessary commercial locksmith services at competitive pricing. For ensuring business privacy and security, it is essential that you effectively protect your commercial premises with totally reliable security systems and locks. Safe Key Shop helps clients to safeguard their assets through reliable, professional, and high quality commercial locksmith services. We are proud to offer round the clock emergency locksmith solutions to the Alexandria, VA community. Safe Key Shop is committed to offering efficient locksmith services. 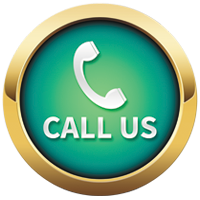 Our technicians are experts who take a maximum response time of 30 minutes. We are experienced in providing a wide range of commercial locksmith services catering to the security needs of various premises such as shopping complexes, hotels, multiplexes, and so on. In Alexandria, VA, we have a long list of satisfied clients who we have served with diverse commercial locksmith services that include, but are not restricted to security consulting, emergency commercial lock assistance, master key systems, key duplication, commercial lockout, safes, file cabinet locks and keys, card access and key pads, and door closers. Every business naturally has to consider security as vital. For efficiently protecting valuable business assets and premises, qualified locksmith with hands-on experience in serving at varied situations is a must. We have gained skill over years of providing services such as lock replacement and repairing, key control systems, exit devices, and much more. For revamping your existing security system or for totally reliable new locks installation, you may call us for discussion and trustworthy service. We will help to get your premises fully protected. For availing our exclusive commercial locksmith services, please call us at 703-586-9674.